Every space is different, as is each person’s individual style. Furnishing your interior, whether it is in your home or business, can be made more personal with our unique Design Your Own Table range. 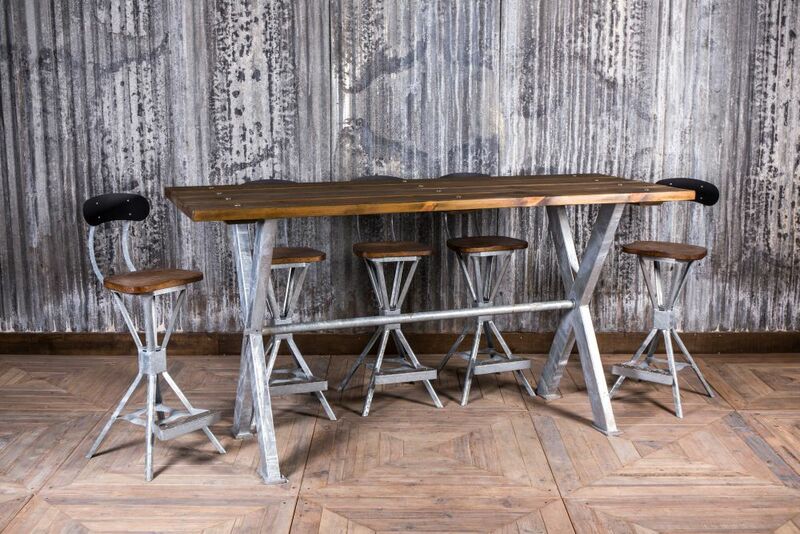 We have a large selection of industrial style table tops and bases to choose from to create a table that works for you. Our customer, Tim, has created a cinema room and bar in his home. 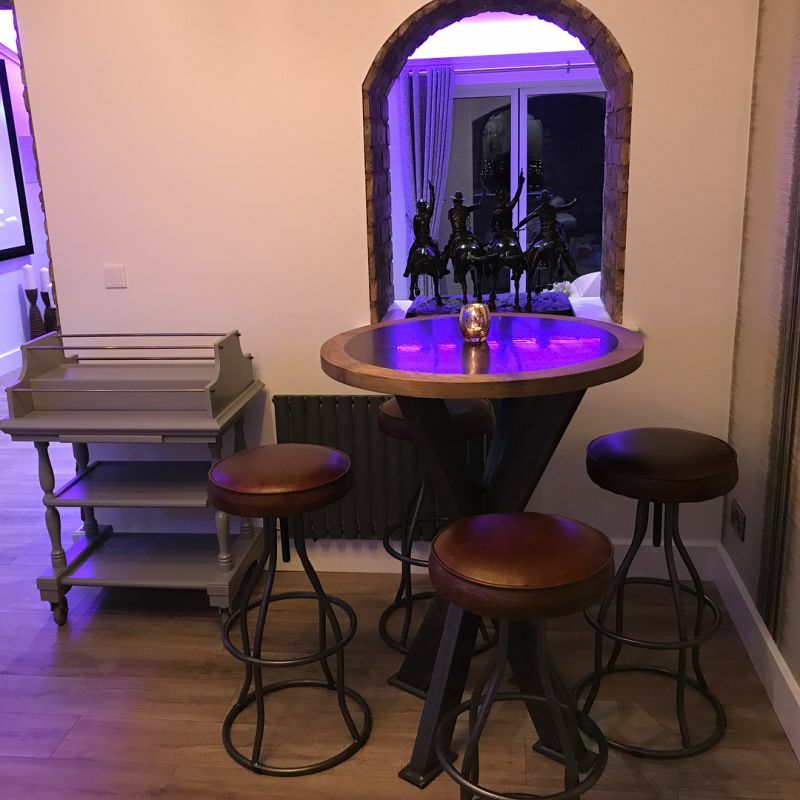 Tim paired a square bottom poseur pedestal base with a 70x70cm copper top and has styled them with vintage copper ‘Tolix’ style stools. He also has a round poseur bar table; the base is a steel double X-frame base, and the top is made from oak and copper. He chose height adjustable leather ‘Fulham’ stools to go with this table. All the elements pull together to give this home bar the appearance of an ultra-modern cocktail lounge. 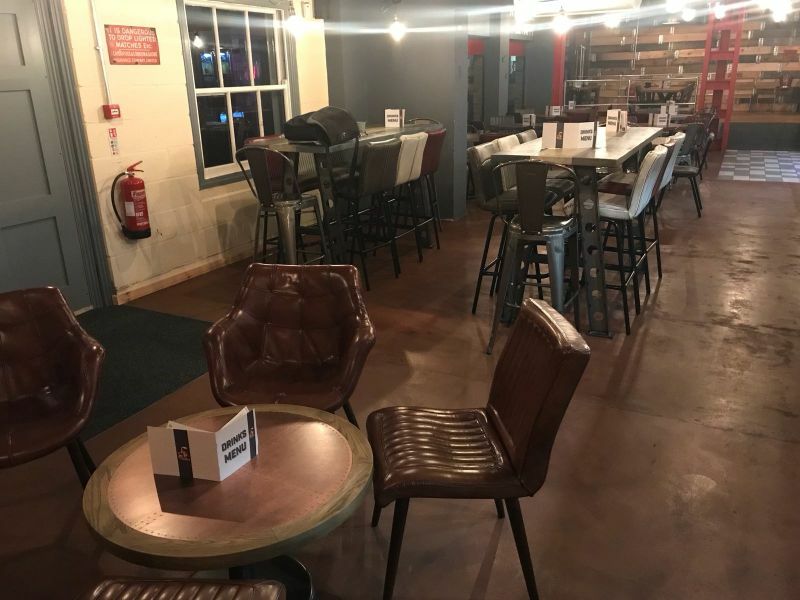 The Works are a chain of dessert bars with three locations in the south of England. Their latest opening has fantastic industrial décor. 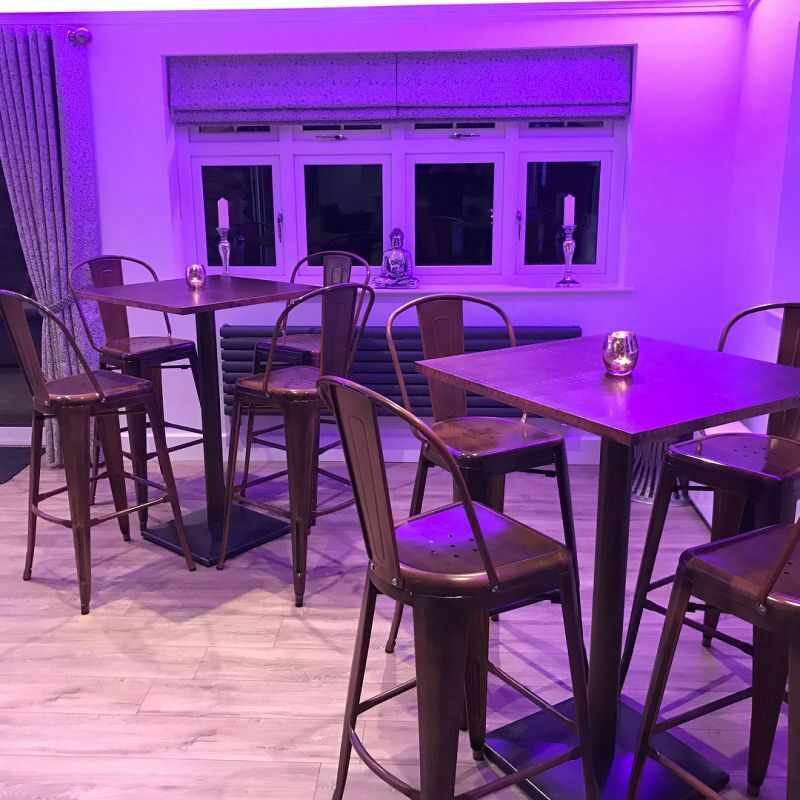 It has been furnished with a variety of tables from our Design Your Own Table range, including café tables with colourful oiled tops, small tables with metal tops, dining tables with pipework bases, and tall bar tables with laser cut bases. Why not design your own kitchen dining table? 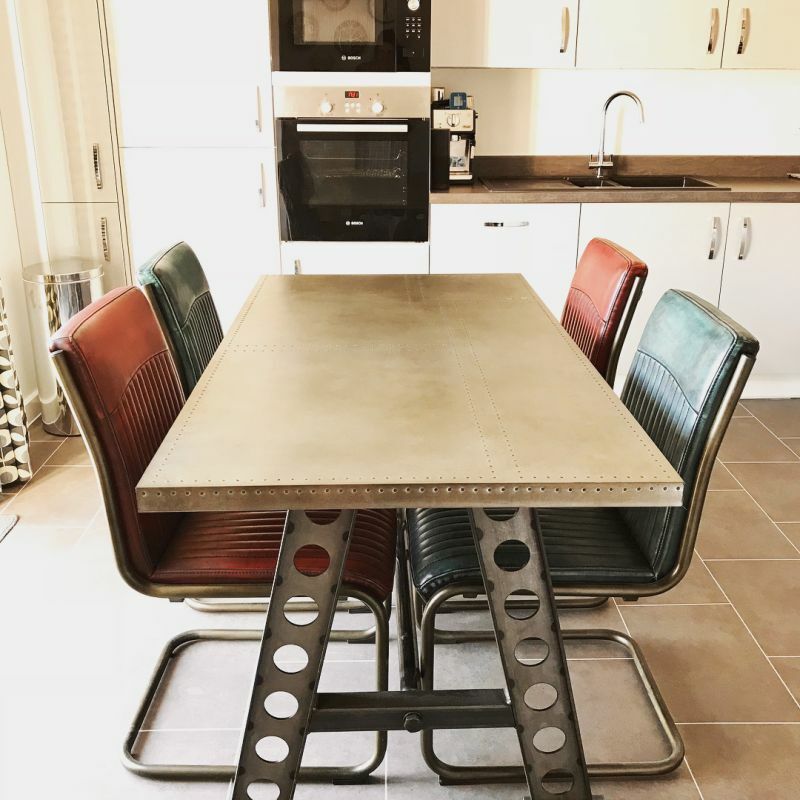 Lindsay chose a zinc table top to go on top of a laser cut ‘Zeppelin’ frame and paired it with colourful 'Goodwood’ chairs, whilst Sarah opted for a pine top to go on a ‘Zeppelin’ poseur base. 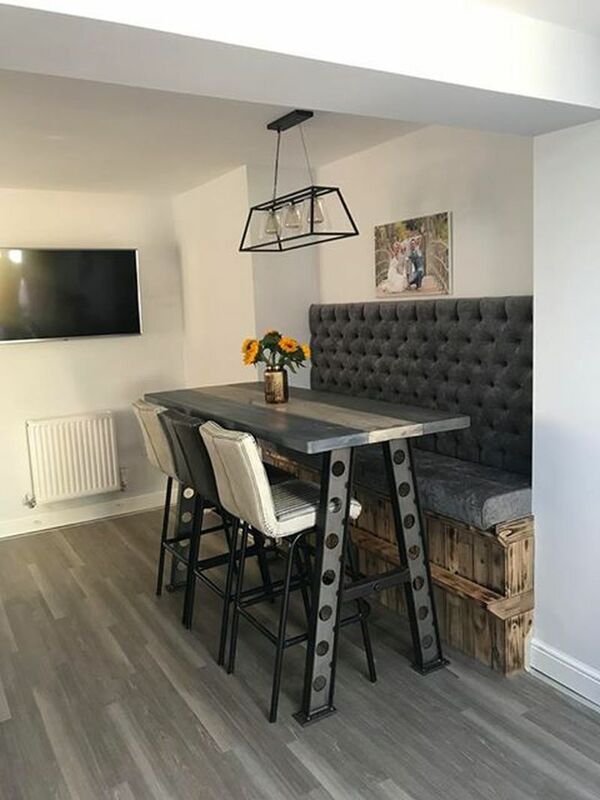 Sarah also had the table top oiled in three different colour stripes and chose ‘Mini Goodwood’ stools in vintage grey and vintage white to match her interior. 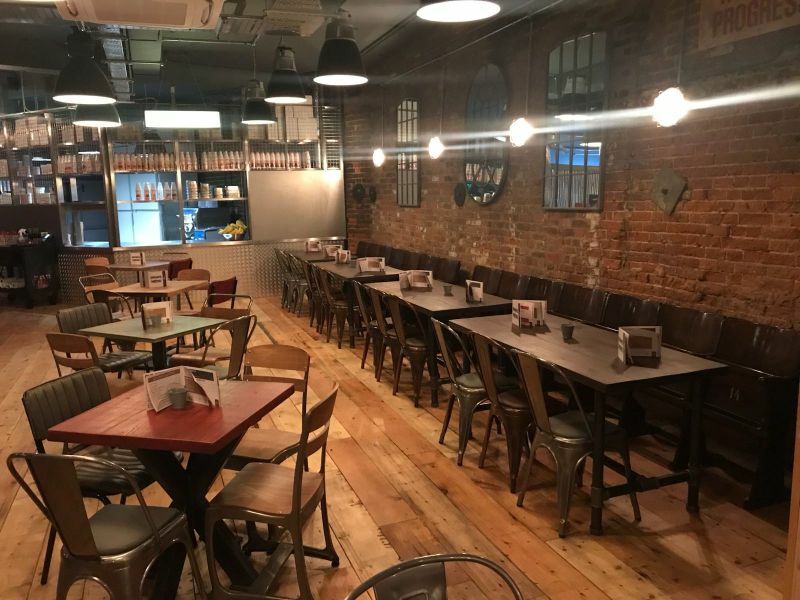 Junction Bar in Beckenham also chose the ‘Zeppelin’ laser cut base, but instead chose a quirky butcher’s block table top. The butcher’s block is new to our DYOT range along with our concrete effect tops. The butcher’s block is a 4” thick wooden top – a great way to make a statement! It doesn’t have to stop inside either! 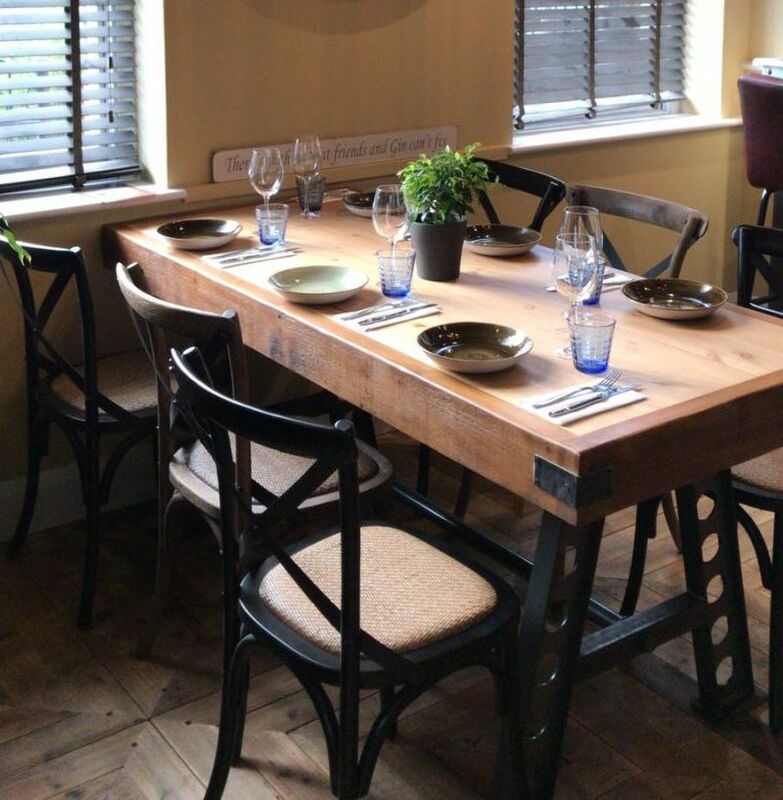 Many of our table frames can be galvanised and the pine tops exterior oiled to protect from the elements. Take a look at our outdoor furniture blog for inspiration or browse our outdoor tables and chairs. We would love to see our furniture in your home or business! Send your photos to info@peppermillinteriors.com so we can feature them in our blog*.